The text is below for an article that I wrote for Islands Business, October 2012 edition, when my study of Fairtrade certification of sugar cane in Vanua Levu was published. The full study is available here. I am presenting on this study at the Agricultural Value Chains Course in Nadi on 17th April 2013. “Fairtrade certification of sugar cane in Vanua Levu, Fiji, is producing significant economic benefits, according to a new study by the Secretariat of the Pacific Community (SPC). The report estimates, taking into account all costs and benefits, that the economic impact of Fairtrade certification of all farmers serving the Labasa sugar mill in Vanua Levu amounts to F$9,094,473, assuming the benefits and costs are incurred over a 12-year period. This represents a return of F$6.48 dollars for every dollar spent on gaining certification, including those spent by farmers and donors—the European Union (EU), which is the principal contributor, as well as SPC. For context, the total revenue for all growers in Fiji was F$85,100,000 in 2011, according to the Fiji Sugar Corporation’s 2011 Annual Report, and the average net benefit from Fairtrade certification in Vanua Levu alone is F$757,872, assuming as the study does, a mid-range estimate of a total of seven years of certification and an additional five years of benefit from expenditure of funds saved during certification. However, one important implication of the SPC report is that extending certification to other mills is likely to bring several million dollars worth of additional economic benefit to sugar cane growers in Fiji at relatively low cost. Moreover, it is in the interest of growers to remain certified and receive the associated benefits for as many years as possible. Sugar cane in the Labasa mill area was certified Fairtrade in early 2011 and will remain certified until conditions of certification can no longer be met. The sole buyer of sugar from Fiji, British refiner and wholesaler Tate and Lyle Sugars Limited made a commitment in 2008 to convert all of its retail branded sugar to Fairtrade, and approached the Fiji sugar industry the same year about becoming certified. In 2010, the decision was taken by stakeholders in the industry to certify one mill as a pilot scheme, and the Labasa mill was chosen. The Labasa Cane Producers’ Association (LCPA) was established to oversee certification and was created by the Technical Manager of the EU’s Lautoka-based Coordination Unit, Mohammed Habib, who became LCPA’s first Executive Manager. He has recently been succeeded by Mukesh Kumar. Habib says: “The new SPC report shows that Fairtrade certification could continue to be an important shot in the arm for the Fiji sugar industry and makes me proud of what we have achieved. Financial assistance with certification costs came from the European Union, which funded the cost of setting up LCPA and the inspection costs of the Fairtrade Labelling Organisation. Additionally, SPC’s EU-funded Facilitating Agricultural Commodity Trade (FACT) project assisted with the cost of an environmental audit, a pre-requisite for certification. Dr Lex Thomson, head of FACT, says: “FACT is delighted to have worked with the EU Coordination Unit on Fairtrade certification of sugar in Labasa. FACT assistance with the environmental audit has led to improvements such as the phasing out of highly toxic and hazardous herbicides, as well as cane farmer extension activities. 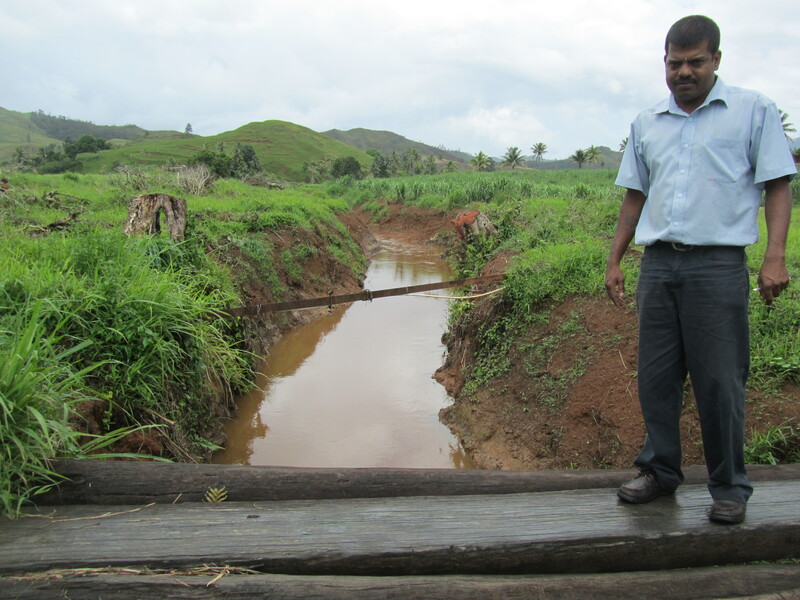 SPC plans to assist in extending Fairtrade certification to growers supplying Fiji’s other three sugar mills, located on the main island of Viti Levu, through the Improvement of Key Agriculture Services for the Sugar Sector Project, due to begin in the next few months. The project also aims to supplementthe farmers’ income by providing extension and advisory services to increase cane productivity and support the growing of other crops. Fairtrade certification enables farmers to gain wide-ranging benefits, principally accruing from Fairtrade Premium funds. These are paid by Tate and Lyle Sugars directly to LCPA, at a rate of US$60 or F$106 per tonne of sugar produced, in addition to the standard amount paid to Fiji Sugar Corporation (FSC). As a condition of certification, the growers must establish a democratic growers’ association (LCPA in this case) in order to decide how to spend the premium funds. This association requires farmers’ time and attendance. The benefits already realised from premium funds include subsidies for farm productivity and essential farm inputs such as fertiliser and weedicide, assistance with the cost of replanting cane and community development projects. In 2012, funds will go towards replanting more productive varieties of cane, an investment that will pay off for recipient farmers in the next five years. 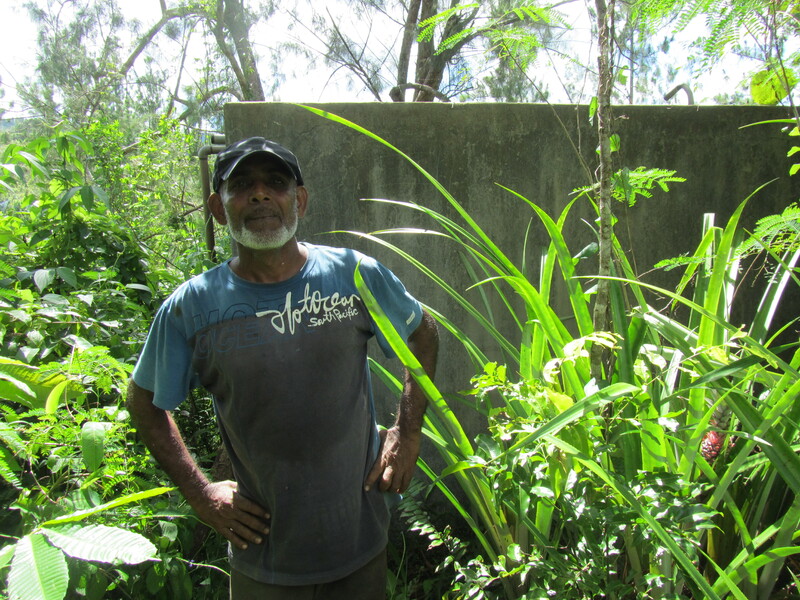 The new SPC report includes five short case studies from 43 community development projects carried out in 2011 with Premium Funds, including a F$2,100 drainage ditch that saved Wainikoro farmers an estimated annual 1,500 tonnes of cane that would otherwise be lost to flooding; and a F$4,966 water tank which provides reliable, clean water to the Vatuncina community of 1,000 people, a fifth of whom previously had no clean water supply. Other LCPA-funded projects include the construction of three kindergartens, acquisition of school equipment, cemetery repair and maintenance, a road upgrade and additional water and drainage projects. One condition of Fairtrade certification is that LCPA must implement an environmental plan to eliminate the use of banned chemicals and introduce safer chemical storage through training and assistance. This provides health and safety benefits beyond the economic benefits listed. Sir , I belive that the laws for the LCPA is not used by the LCPA officers as they are expected. I know its not right to complain like this but we farmers are been mistreated by some officers. I have a situation whereby a full gang is been suspended by the LCPA .The LCPA officer have suspendered us by saying that we had sprayed glyphosyt in our living area which they say was within 10m of living boundary without any measurment but after being suspended the farmers measured the area with instrument and asked the LCPA officer to come back and measure it by themselves but they neglected ,after haering that one of our gang members went to the office and asked LCPA officer to go and check in the farmers private vehicle and then the LCPA officer said thae he does not have time. Sir we farmer are left helpless because of some unfair officers.I would like your kind help in investigating in this issue . Plaese try to contect us on the number + 6799696339 as we dont have anywhere else to go.Your kind help will be highly appreciated.